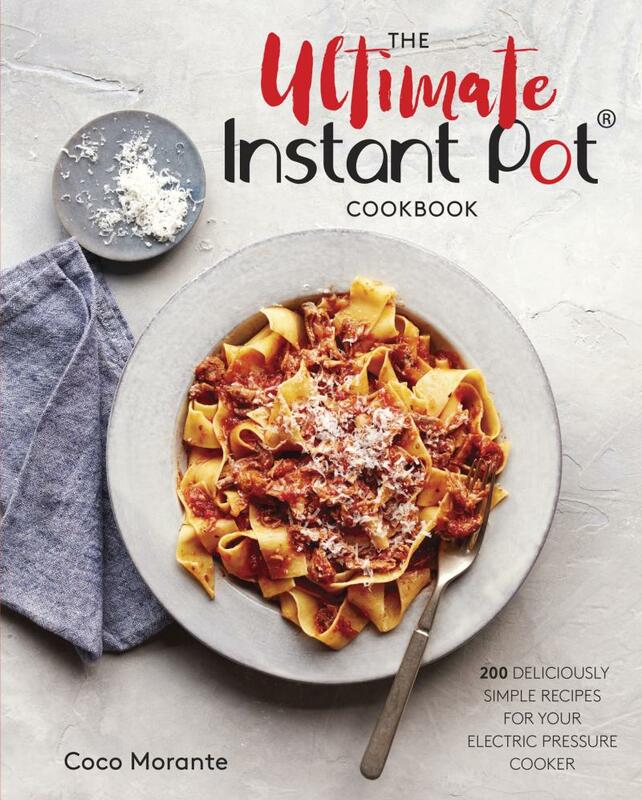 Reprinted with permission from The Ultimate Instant Pot Cookbook,copyright 2018 by Coco Morante. Published by Ten Speed Press, an imprint of Penguin Random House LLC. Don’t worry, no porcupines were harmed in the making of these meatballs! They just resemble roly-poly porcupines due to the grains of rice that poke out of their sides. This recipe is based on an oven-baked Betty Crocker classic, and in the Instant Pot, it cooks in about half the time as the original. I like to serve the meatballs with mixed steamed vegetables that I’ve prepared separately in the microwave or on the stove. 1. In a medium bowl, combine half of the onion, half of the garlic, the ground beef, rice, salt, and pepper and mix with your hands until the rice is evenly distributed throughout the meat; don’t worry about over - mixing. Shape the mixture into 12 evenly sized meatballs, each slightly larger than a golf ball. 2. Select the Sauté setting on the Instant Pot and heat the olive oil for 1 minute. Add the remaining onion and remaining garlic and sauté for about 5 minutes, until the onion is softened. Stir in the tomato sauce, water, and Worcestershire and bring to a simmer. Place the meatballs in a single layer in the pot and spoon a little sauce over each one. 5. Serve the meatballs with the sauce spooned on top. Garnish with fresh herbs.